This past week we (Paul Robichaux, Brian Desmond, and I) finished the last in the current series of Exchange 2010 Maestro events. We were in the Hyatt Regency in Greenwich CT, which proved to be a perfectly acceptable location. Attendees were focused throughout, enduring all that we could throw at them and even having the stamina to ask some pretty demanding and interesting questions as the clock ran out on Friday afternoon. We also had a good time during Friday’s exercise where we break attendees up into small groups and ask them to act in the role of consultants who come in to present their recommendations for the deployment of Exchange 2010 in a 12,000-seat pharma company. The presentations are usually a lot of fun with extreme heckling all round and they’re valuable too because everyone gets to learn how to put the concepts that we discuss into practice. There’s nothing like being asked to justify a design decision to focus the mind. During the event Paul published an interesting comparison on his blog between the relative costs of Apple Mac and PC laptops to investigate whether Apple really does command a price premium for their products. He concludes that Apple does charge more as vendors such as Dell and Lenovo will sell you comparable but cheaper hardware. I didn’t agree with his comments about the HP offering as I thought that he shouldn’t have chosen the HP Elitebook 8760w laptop with the 17″ screen. An 8560w might have been more representative even if it doesn’t have a quad i7 processor. My day to day laptop is the older Elitebook 8530w and it has served me well for a couple of years so I will probably upgrade to the newer model when the time comes. Paul made the point that he has experienced shoddy quality with Dell and HP laptops when compared to those available elsewhere. I think that’s fair providing you’re talking about laptops that are designed to a low price point and intended for light consumer use. There is a world of difference between those PCs and other models designed for business use. You can certainly buy a $500 laptop today but in reality it’s a discardable item that will eventually break, probably sooner than later, if you put it under stress. I published three articles on WindowsITPro.com this week. One was a routine report that Microsoft had released RU6 for Exchange 2010 SP1. The others received more of a reaction. 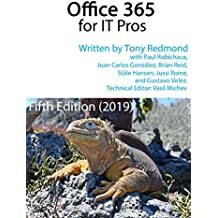 First, I sallied forth on the topic about the options that exist for companies that have public folders today who want to consider going to Office 365. Microsoft has published a white paper on the topic that is brief and doesn’t really sugar-coat the bad news that any route is painful. Read my views on the topic here. While I was in Greenwich I had the chance to catch up with two old friends from Sybari. For those who don’t know, Sybari was a small anti-virus company that developed some innovative approaches to protecting Exchange servers at a time when their opposition persisted in using slow and not very effective methods to stop viruses wrecking havoc. Back in the days of the infamous “I Love You” virus most Exchange anti-virus products logged on using MAPI and so resembled a hyperactive user who accessed all the mailboxes on a server to read messages and detect suspicious payloads. MAPI was never designed to serve as the foundation for anti-virus detection and its use was both very slow and demanding in terms of CPU drain on the server. Sybari developed a hook in their Antigen product that allowed them to load their anti-virus code while the Store process was initializing and was much more effective and efficient than anything that came before. Eventually Microsoft, who really hated the Sybari approach and did all in their power to bad-mouth it for a number of years, came around to the conclusion that they had to provide anti-virus vendors with a better method to integrate with Exchange and developed the AV API. And then Microsoft acquired Sybari in 2005 for its technology and to become part of the beginning of what is now the ForeFront product family (pages about Antigen are still lingering in TechNet). I was an external director of Sybari for a number of years leading up to their acquisition by Microsoft and enjoyed myself enormously while learning a lot about how small (but nimble) companies operate. It’s also fair to say that Sybari carved out a special niche for themselves in the hearts and minds of people who bought their products, especially for those who attended conferences such as TechEd and the Microsoft Exchange Conference (MEC). Sybari always had a great stand and organized draws for impressive prizes such as a Harley-Davidson bike or a Mini Cooper. But it was the Sybari parties during conferences that will linger long in the minds of those who attended those conferences, whether the somewhat private affairs organized by Sybari’s CEO, Bob Wallace (a man who had enough stories of his time as a NYC policeman to keep a party going for ages), or those run by the sales team in various night clubs. I never attended any of the night club events but have seen sufficient photographic evidence to convince me that people had fun, even if they might not welcome the discovery and publication of said photographs today. Anyway, getting back to Greenwich, Tom Buoniello and Rocco Donnino came across to pick me up to go to dinner in Tom’s outrageous Ford F-250 SuperDuty truck. It was quite an impressive beast and evoked an impressive reaction from the valet who met us when we arrived at L’Escale restaurant. I’m sure it made quite a difference to the normal Mercedes and such that he’s expected to park. L’Escale came with high recommendations but was just OK. Despite being a “high-end” restaurant, I sometimes felt that the waiting staff thought that they worked at McDonalds and wanted to clear us out as quickly as possible. It was also notable how quickly they served wine, obviously in an attempt to get us to buy a second bottle. They would have probably preferred if we had consented to hook up with a drip from the bottle. The food was OK but not memorable. But writing restaurant reviews is not the purpose of the visit. Instead, it was an opportunity to catch up with the work that Rocco and Tom are doing at AppRiver and for me to learn how Microsoft partners who specialize in the SMB market are dealing with Office 365. I was impressed at AppRiver’s approach to support and how they are hand-holding customers who are transitioning to Office 365 as I think that this is an area rich of potential for services companies. The fact is that Office 365 when delivered by Microsoft is essentially “roll-your-own” support. There are too many opportunities to attempt to figure out problems through web sites or (if you purchase Plan E) to navigate the depths of telephone support. Being able to call on a competent partner such as AppRiver seems like a nice option for small companies that want to take advantage of the power and functionality offered by Office 365 while having a safety net just in case. It costs a few dollars extra per month but what price is piece of mind? Appriver is expanding into Europe and has plans to work with other services companies around the world too, so I’m sure we will hear more about them. And now on to the delights that Las Vegas promises for Hallow’een. I can barely wait (this comment is strictly tongue in cheek) but it will be nice to meet some of the world-class experts who are presenting at DevConnections, including Greg “four times” Taylor (he of Client Access Server fame), Lee Mackey, Jim McBee, and so on. Paul Robichaux and I have a one-day seminar to deliver on Monday and I’m looking forward to that too. 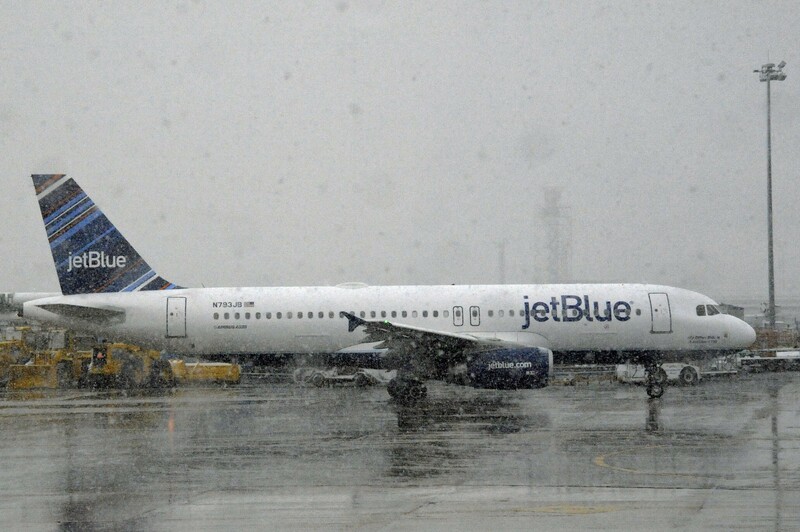 Unfortunately weather meant that the trip started badly as JFK was shut by the first October snow fall for 150 years in the NYC region. Jet Blue did their best to get everyone going and a five hour delay is probably the best that you’d expect in the circumstances. This entry was posted in Cloud, Email, IASA (architects), Technology and tagged Exchange 2010 Maestro, Exchange 2010 Training, Sybari. Bookmark the permalink. Are you doing any more Exchange training sessions in 2012? Yes, we’re looking at places for 2012. Maybe one session. Perhaps in late May or early June.